Often found on large inland bodies of water–like lakes, reservoirs, large ponds, and on seashores and rivers–Canada Geese are grazers and feed in shallow water, pastures and arable land. Without goose repellents, these birds are most likely to return to the area they were born. These geese leave behind an abundance of droppings, which can be a health hazard, and feathers. Canada Geese graze relentlessly, killing grass in areas where they reside and leaving piles of unsightly poop. Keep these birds away from with bird control products. There are several humane bird solutions to get rid of geese. 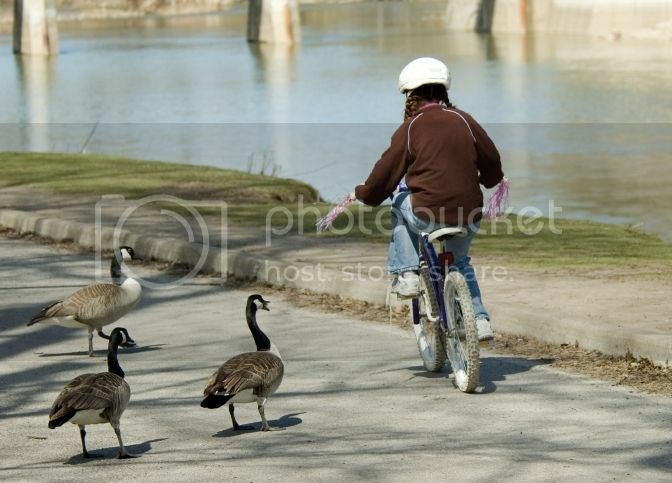 One method of deterring Canada Geese is by removing their food source. 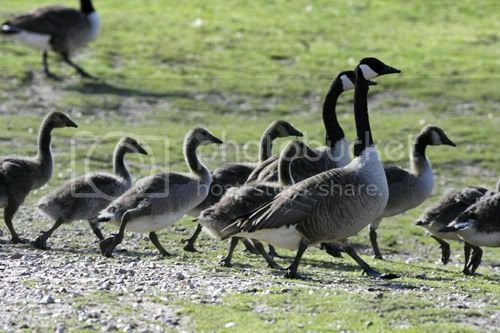 This can be done with Migrant Goose Repellant is a non-toxic, food grade liquid product that is used to deter geese from common grazing areas, like lawns and shrubs. Migrant Goose Repellant is made from a non-toxic grape extract that when ingested causes an irritation to the mucous membranes and trigeminal nerves resulting in the geese avoiding the treated area. Disrupting their habitat by removing any reeds will also discourage geese from nesting in grassy areas. Scare tactics such as sound bird deterrents are also effective in goose control. Sonic Shield is a motion activated device that replicates a vicious dog barking sound when triggered. The sensor reaches a distance of about 30 feet to the front and 20 feet side to side. This is an inexpensive solution to bird control. The Goose-B-Gone Super Sonic another sound bird deterrent. It is more costly than the Sonic Shield but reaches a much greater distance and is very effective. It plays goose distress calls and predator sounds to scare geese away from property(or any area within a one acre radius). The scarecrow is another effective motion activated scare tactic that sprays water from a sprinkler system every time it is triggered by motion. The scarecrow is used for lawns, docks, pools and other areas. Coyote decoys are another inexpensive solution to getting rid of geese. These decoys can be placed in the nearby area and keep geese away since coyote feed on them. Most goose control products are easy to install, however, if you have neither the time nor resources to install the goose deterrent products, there are wildlife and pest control professionals that offer humane capture and release services. 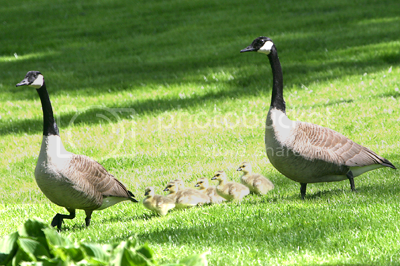 Get rid of the geese and get back to lush green grass! Controlling pest geese at airports has become quite a topic in the news today. On January 15, 2009 US Airways flight 1549 ended up in the Hudson River after losing both of its engines to bird strikes. On its initial climb out of LaGuardia Airport, the plane flew through a flock of Canada Geese, which resulted in a complete loss of thrust from both engines. Although it is unusual for a plane to lose both engines to bird strikes, The FAA says that in 2008 there where almost 7,000 reported incidents of bird strikes with planes, and that’s only a quarter of the actual ones that are happening each day. For obvious reasons most wide-open grassy areas surround airports, which make perfect places for pest birds such as Canada Geese to make their homes. These areas are usually fenced in and off limits to the public, so the geese have found a nice home where they are virtually undisturbed. There is plenty of grass to graze on and often a water source as well. Having a growing population of geese residing just a few miles off the departure end of a runway is a big concern for any air traffic control manager. Most airports try to chase the birds with sounds such as cannons and banging or screeching shells which birds can become accustomed to. They spend countless hours chasing the birds with these devices and yet the geese keep coming back. So how can airports rid the surrounding areas of pest geese more effectively?